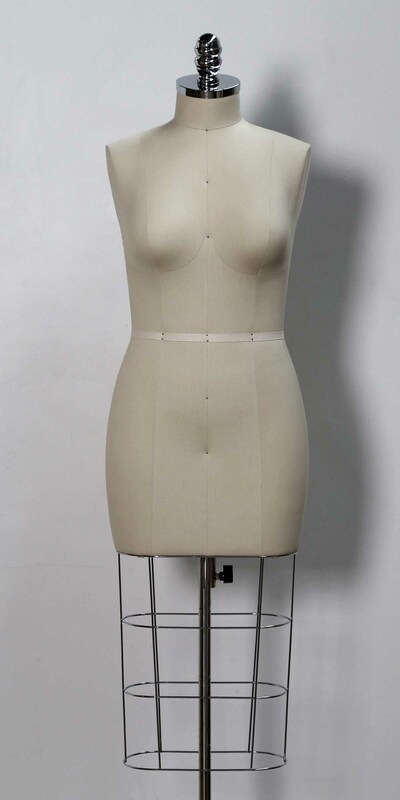 Professional Female Dressmaker form features a durable Canvas Cover, designed to hold up very well to multiple pinning and has a wire cage bottom. This female sewing form is size 10/Medium. The acorn neck cap is finished with chrome as pictured. Measurements are Bust 36 inches, waist 29 inches, and hip 39 inches. A feature of this form is collapsible shoulders. The shoulders can be collapsed and expanded for the ultimate flexibility and ease for use with tighter fitting clothing.